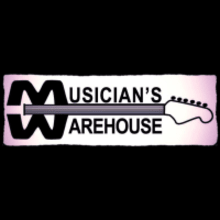 Musician's Warehouse is located in Athens, Georgia, one of the major music and art centers for the South. We have been locally owned for the past 20 years and plan to stay that way. If there are any Athens bands that you love, there is a pretty good chance that they have shopped with us. We sell musical instruments like Guitar, Bass, Drums, Keyboards (to name a few), Amplifiers, PA equipment, Recording Gear etc... If you have any questions feel free to give us a call or shoot us an email! We are a brick and mortar store first and foremost, but do offer most of our gear online. The products that we sell are usually floor models or open box, but are still brand new and in great condition with full warranties. We ship in the U.S. primarily . We can negotiate shipping prices for most items internationally. We do NOT ship FENDER products internationally.